As predicted, Go Pro has debuted the Hero6 Black, with 60fps 4K video recording and beefed-up image stabilisation thanks to a new, custom-designed processor. 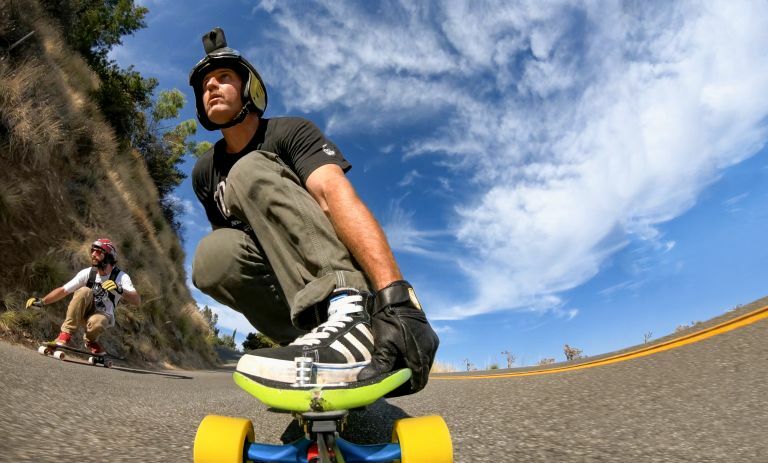 But even more interesting than that, GoPro announced Fusion, a waterproof, mountable 5.2K spherical camera. There are also a bunch of mount updates, while the QuikStories mobile app is designed to make it easy to share short videos of your adventures. If you're interested, you can also watch a replay of the live event. In addition to the features above, the Hero6 also has improved dynamic range and low-light performance plus an added digital zoom (there are RAW and HDR photo modes). It's also ruggedised and waterproof to 10 metres as you'd expect. There are also faster offload speeds thanks to 5GHz 802.11ac Wi-Fi. 5.2K spherical video and 18MP spherical photos! That's what you can capture using GoPro Fusion. Gimbal-like stabilisation makes it all smooth. The GoPro app’s OverCapture feature can recapture and share your spherical shot as a traditional fixed perspective video. It's waterproof to 5m. Naturally both cameras include GPS, an accelerometer, gyroscope and compass plus Wi-Fi + Bluetooth. The Karma drone is Hero6 Black-compatible and features two new auto-shot paths: Follow and Watch. Using GPS, Karma can now automatically follow the Karma Controller while you’re on the go, keeping you framed in the shot. Clever stuff. The Watch auto-shot path will keep Karma hovering in place while it rotates, keeping the Karma Controller in frame wherever it goes.